This is another passage (or two) that is not only rather difficult but also a matter of some contention. Of course, atheists and those wanting to attack Christianity will claim that these two accounts of the genealogy of Jesus woefully contradict one another and thus prove that the Bible is unreliable and untrustworthy. Most Christians and defenders of the two biblical genealogies, do not shy away from some of the difficulties, and they acknowledge that some areas can be hard to fully reconcile, but they do not think such things mean we should just jettison our confidence in God’s Word. The actual passages in question are these: Matthew 1:1-17 and Luke 3:23-38. That there are some key differences between the two lists of names is clear, but that they therefore indicate irresolvable error is another matter. Let’s look first at what we do plainly know about the two genealogies. Luke’s genealogy starts with Jesus and goes back to Adam. 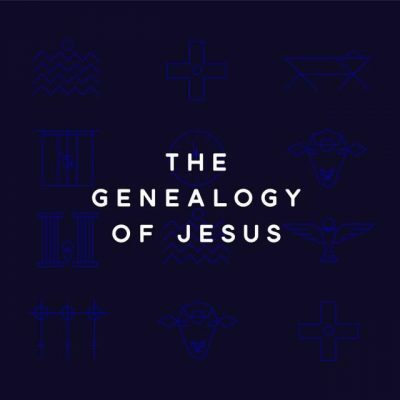 Matthew’s genealogy starts with Abraham and goes up to Jesus. And since Old Testament prophecies especially spoke about the Messiah coming from David’s descendants, both accounts feature King David, especially Matthew’s. The genealogy found in Matthew follows the line through David’s son Solomon, but Luke’s genealogy traces the line through David’s son Nathan. From David to Jesus there are only two names found in common in the two accounts: Shealtiel and Zerubbabel (and some even suspect that these names may not necessarily refer to the same person’s in each genealogy). Also, there are some 60 names found in Luke’s account that are not found in Matthew’s (some of that is due to going all the way back to Adam). That much we do know. The question arises as to why we have the two differing accounts. Critics, as mentioned, say this proves the Bible is full of errors and cannot be trusted. But there may in fact be some good reasons as to why we have these two different versions. One thing worth noting is how important genealogies were to the ancient Jews, and how carefully they sought to present them. They kept very careful records indeed, making it unlikely that they just made major errors in the compilation of these two genealogies. -Luke’s genealogy is recording Mary’s line, while Matthew’s is recording Joseph’s. -Luke’s genealogy presents a physical, or actual, genealogy, while Matthew’s presents a royal or legal genealogy. As mentioned, there can be various versions of these two broad options, making the discussion somewhat complex at points. And each of these proposed solutions are not without their own problems. Some scholars have more or less favoured the former, some the latter, and some have discussed the differences but do not strongly commit to any of the various options. One of the most significant features of Matthew’s record is his emphasis on Jesus’ kingly lineage. David is not simply the son of Jesse (Luke 3:31– 32) but he is “King David” (Matt. 1:6). Further, Matthew traces Jesus’ genealogy through David’s son Solomon, who had succeeded his father as king of Israel, while Luke traces the line through David’s son Nathan, who never reigned as king (cf. 1:6; Luke 3:32; cf. 2 Sam. 5:14). Matthew omits several names that are found in the genealogy of Luke, most likely for the purpose of literary symmetry for memorization. The verb gennao (“give birth to, father”) is used in each link of Matthew’s genealogy and is often used to indicate a more remote ancestor (e.g., grandfather or great-grandfather). In lineage- or descent-based status systems like that into which Jesus was born, genealogies served the crucial function of determining membership in a given kinship group… Genealogies serve as indicators of (inherited) status; as such, it is commonly recognized that they might be subject to “genealogical amnesia” (where insignificant or problematic ancestors are suppressed) and idealism (where lists are adjusted to fulfil new social requirements). As a literary form, genealogies are concerned as much with theological and apologetic issues as with historical; in them resides remarkable social power. Genealogies had many uses in the ancient world. Since society was organized as a whole around kinship patterns, lists that describe actual kinship relationships were central as “the basis for regulating social interaction, marriage, and inheritance”. . . . These verses also function as the prologue for Matthew’s gospel, and the purpose of the prologue in every gospel (e.g., Mark 1:1 – 15; John 1:1 – 18) is to tell the reader who this Jesus really is. So we need to recall the importance of these genealogies and the key role they played in the gospel accounts. While some mysteries remain as to the versions offered us by Matthew and Luke, they serve very important purposes indeed. The problem is that there is simply insufficient information to reach convincing conclusions. . . . Evangelicals must admit that there are insuperable difficulties in fully resolving all the problems in the genealogies. But this does not amount to capitulation of biblical authority. Although there is not sufficient evidence to solve the difficulties, there is likewise insufficient evidence to demonstrate that the biblical record is false. No doubt both genealogies are based on traditions available to Matthew and Luke, which they passed on in good faith. No doubt Matthew and Luke also had distinct purposes in composing their genealogies, and neither intended to summarize exhaustively the biological lineage of Jesus. With this in mind, many of the difficulties are more understandable if not solvable. Difficulties and distinct purposes aside, both Matthew and Luke affirm Jesus’ Abrahamic and Davidic ancestry as well as his miraculous conception by the virgin Mary. Needless to say, much more could be written about all this. And I am afraid I have not left us with any easy and quick-fix solutions. There are some genuine difficulties here, but as I tried to show, especially with some of the concluding quotes, one need not lapse into total despair and scepticism. The average modern person who thinks ‘maybe I’ll read the New Testament’ is puzzled to find, on the very first page, a long list of names he or she has never heard of. But it is important not to think that this is a waste of time. For many cultures ancient and modern, and certainly in the Jewish world of Matthew’s day, this genealogy was the equivalent of a roll of drums, a fanfare of trumpets, and a town crier calling for attention. Any first century Jew would find this family tree both impressive and compelling. Like a great procession coming down a city street, we watch the figures at the front, and the ones in the middle, but all eyes are waiting for the one who comes in the position of greatest honour, right at the end. My understanding is that Emmanuel (Titled Jesus) was born in the house of David and not from the bloodline of David as given that the man, in those days, accounted for the head of the family and children were from the father as opposed to the mother thus, Jesus who was not fathered by Joseph then left the scribes to account for the Messiah to be born into as opposed to from. My further understanding is that it is not Mary who is in bloodline of David but her husband/betrothed Joseph who was descended from David’s bloodline and as Jesus was born to his wife then Jesus was born from or in the house of David. I have not yet studied this in depth, but it would make sense that Mary was a descendant of Solomon’s son Nathan (in Luke 3) and Joseph was a descendant of King David, another son of Solomon (in Mathew 1). It also would make sense that the scripture means Jesus’ kingship is/was related to the kingship of the House of King David because Mary and Joseph were from two different ancestral lines descended from King Solomon. In the geneaology of Joseph in Mathew 1, it should be noted that Joseph was a direct descendant of Jehoiachin, the last King of Israel (Judea or Judah, actually), who was taken into captivity in Babylon. The scripture that tells of this captivity says no descendant of Jehoiachin would ever be King of Israel. Thus, Joseph was not Jesus’ biological father as Jesus was conceived of the Virgin Mary by the Holy Ghost. Please see the Old Testament account of the Babylonian captivity for the actual explanation. A hazy recollection of mine suggests that the Aramaic language behind the Matthew genealogy may have something to do with the exegesis of that genealogy. The didactic features of the shape of both genealogies of Christ are indisputable: e.g. the elimination of certain generations of Ahab and Jezebel’s offspring in the Matthew’s listing of the Davidic kings. Luke certainly emphasises the humanity of the Son of Man. His gospel also has much to say about the women who feature in the narrative of Jesus’ life and public ministry. There are no errors in the Bible -God’s Holy Word. To say otherwise is to offend God and harm others’ faith which is to behave sinfully. There are mysteries and difficulties (because our human brains are limited). As a Catholic we were taught to pray to The Most Holy Spirit to enlighten us when we are reading the Bible. All Scripture is God-breathed and is useful for teaching, rebuking, correcting and training in righteousness, so that the man of God may be complete, fully equipped for every good work (2 Timothy 3:16 -17). both St Joseph and the Blessed Virgin Mary have the bloodline of King David King David whose son Solomon is the ancestor of Joseph whilst Nathan another son of King David is the ancestor of BVM. St Luke who was St Paul’s companion is a Greek speaking Antiochian (Syria) Physician who visited Our Lady and St John the Evangelist (Ephesus- in present day Turkey). The Blessed Virgin Mary would have known all the genealogy with accuracy as it was expected that the mothers would instruct their children about this-a vital role in Jewish (and Middle Eastern) families. That’s why St Luke’s version has more names! I apologize for writing something I did not mean in my first comment. I meant to say that King David was the father of King Solomon, and not the other way around. I do appreciate the comment by Dr. Marie Tarabay as to Mary being descended from Nathan of the lineage of David. Has anyone else noticed the narrative about King Jehoiachin being taken in the Babylonian captivity and that (being the ancestor of Joseph) he was prophesied to be the last King of Israel? I was introduced to this bit of prophetic Old Testament scripture when I took Old Testament Survey at a Christian college 50 years ago. Since then I have had one older pastor who never had had this scripture brought to his attention and one younger pastor who did know about it. Two scriptures that describe Jehoiachin being taken in the Babylonian captivity are Jeremiah chapter one and Nehemiah chapter seven. Jehoiachin was the son of King Josiah of Judah. Eusebius who was much closer to the events and to the oral histories passed down has an easy explanation as to why Matthew records a lineage through Solomon and Luke through Nathan: Joseph (Jesus’ step-father) was the product of a levirate marriage. Jesus’ Great grandmother married twice – once to a husband from the line of Solomon and after he died to a husband from the line of Nathan. She had a son by each marriage. Each son (one from either line) then married but one died and the other married the widow of the dead man and had a son Joseph. Joseph could thus claim lineage through the levirate father who had died or his natural father. Jewish family lineage has always been important and in Jesus family especially so once they realised His claim to be Messiah. James and Jude would have sure of that. This article and some of the comments are fascinating. I’ve found that learning the perspective of Messianic Jews is very helpful in learning the Jewish perspective of both the Old and New Testament books of the Bible. In that light I strongly recommend reading “Answering Jewish Objections To Jesus” by Michael L. Brown. It’s presently a five volume set, that gives the perspective of Rabbinic and Messianic Jews. It’s well worth the effort reading. Quite frankly, for those new to Biblical research this set will save years of effort. It would have been nice if such a publication was out years ago. It’s also a great quick reference work for refuting the fallacious arguments presented by any of the non-Christians toward Christianity. It has an index for Bible verses discussed. Thanks Stebe. Yes I have Brown’s 5-volume set – it is excellent.